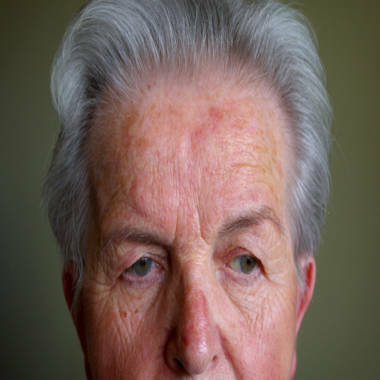 Rosacea can cause reddish skin, bumps, small visible blood vessels on the face and more. The skin condition affects an estimated 16 million in a U.S., according to The National Rosacea Society. Scientists may have finally found what sparks the inflamed and reddened skin in people suffering from rosacea: tiny mites that crawl across most of our faces, unseen and unfelt. The new finding may eventually lead to more effective treatments, researchers say. As it turns out, the mites, which spend daytime hours in the glands that produce sweat and sebum, harbor a certain kind of bacteria in their digestive tracts. When the mites die, the bacteria spill out into the glands, according to a new report published in the Journal of Medical Microbiology. That’s not a problem for most of us, says the study’s lead author Kevin Kavanagh, a researcher at the National University of Ireland. But when people have an especially heavy infestation of the little bugs, the release of bacteria can set off rosacea. Skin problems only occur when mites die while in the glands during the day. At night they pop out and crawl around the surface of the skin often in search of a mate. Kavanagh notes that the mites can cover a lot of ground – moving as much as 4 inches before heading back to the glands. Kavanagh and his colleagues came to their conclusions after reviewing the available literature on rosacea and mites. Looking at all the findings together, the researchers realized that the most likely culprit in the rosacea scenario was the bacteria in the gut of a certain type of mite, Demodex folliculorum. And this new understanding explains why antibiotics work, but only temporarily, Kavanagh says. Another, better, approach may simply involve dietary changes, such as avoiding high fat foods, Kavanagh says. Demodex feeds on dead skin cells and sebum, the oily substance released by subaceous glands.